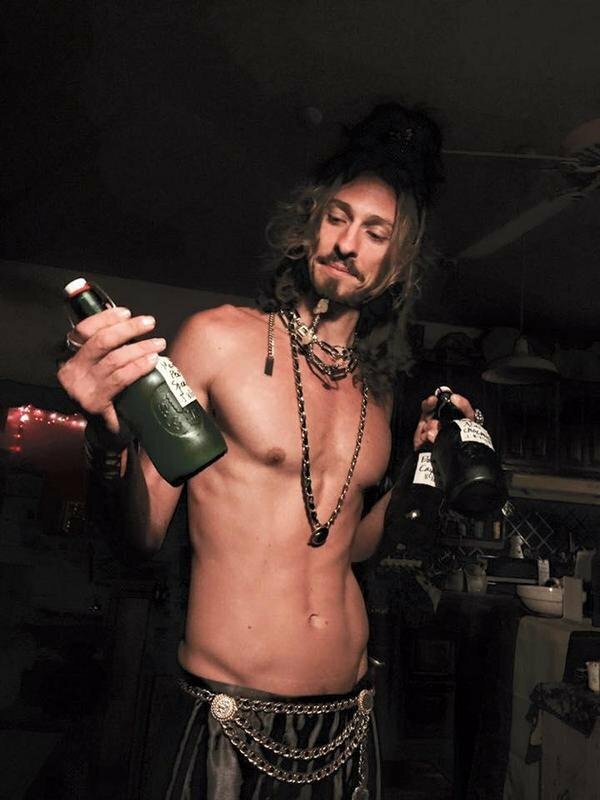 Live Truth Productions Presents "How to Decant Homemade Wine"
Live Truth Productions is a multimedia publishing house & more from the Garden of Eden sustainable ecovillage! Education is one of our primary focuses: we want to inspire everyone to think outside the box and open themselves to the infinite possibilities that exist for ALL aspects of life, and we encourage free thinkers to CHOOSE a full spectrum life of thrival that adds value for all beings and our Earth! To that end, we want to share some of our projects with you! We have been hard at work behind the scenes in service to the @gardenofeden's community mission for almost a decade! We have hundreds of thousands of photos, thousands of videos, articles, graphics, and designs, and multiple websites that illuminate sustainable, honorable, responsible options that support a better world for all creatures and our living planet, and we look forward to continuing to share them here on the blockchain. We have been visual artists for years with combined decades of experience, and Steemit productions are one of our latest masteries! We offer our consulting services to help one and all improve their own success on this platform - stay tuned for an upcoming post with more info. Now, to get to today's post - how to decant homemade wine! Homemade wine making is a fun and fulfilling process, and you can control the quality of ingredients and final product! <You really don't know what goes into the wine you can buy at a liquor store with your paycheck, plus it's not as satisfying as creating your own! We shared some info on making your own instead. After a few weeks, your beverage will be alcoholic! The longer it sits, the more alcoholic it will become (up to a point, that is; the yeast will eventually reach its conversion threshold and the process will stop). First of course you need to sterilize everything: your hands, the decanting rod and hose, all the bottle and caps/corks that will be used. We use reverse osmosis water that is chemical free and add 35% food grade hydrogen peroxide to the mix for a very sterile environment. This prep/sterilization step is often the most time consuming for decanting. 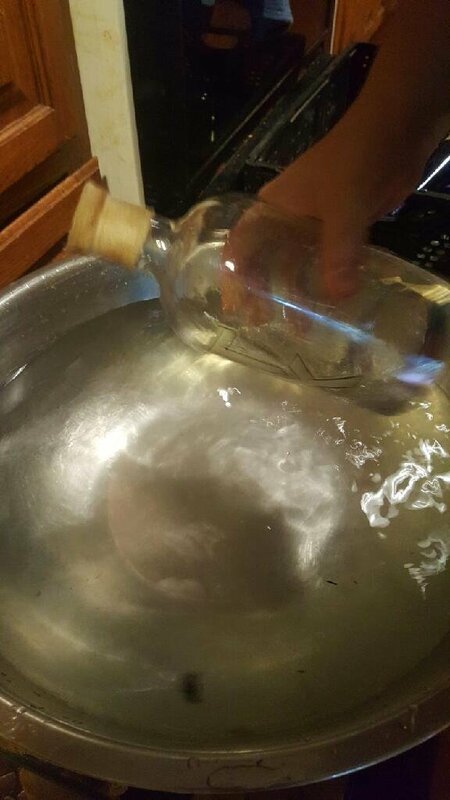 Next, get your bottles ready to be filled, then insert the decanter rod into the wine but just at the very top so the spring is right under the surface. The goal is not to stir up the fibers & matter that have settled to the bottom. As you can see in this picture, there is quite a bit of fiber in the bottom of the jug. We only decant a little at a time, then we will let it sit again for a few days and complete the process over. A jug of wine of this size will need about six decantations before you can't get anymore from them. Siphon the wine out from the bottom of the tube, keeping it as level as possible so it flows freely to fill the bottles. Cap/cork the bottles, and you are done! Delicious homemade wine at your fingertips, and at a fraction of the cost of liquor store wine of dubious quality. Wine making is an excellent food preservation method! Fruits that are potentially past their prime for eating are ideal to use for wine (or vinegar, but that's another post). 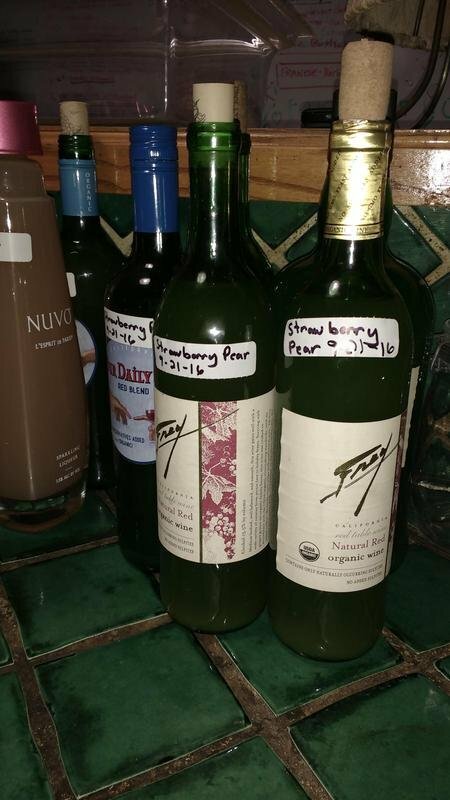 We make wine when we have an abundance of fruit to use up, and we recently made some seriously delicious varieties--homemade strawberry pear wine, anyone?! Stay tuned for upcoming homemade wine tasting posts! We hope this will inspire you to be productive and work towards the best possible life for yourself! THE GARDEN OF EDEN PROPERTY IN ARLINGTON, TEXAS IS NOW FOR SALE. We will be happy to negotiate offers in CRYPTO or USD! 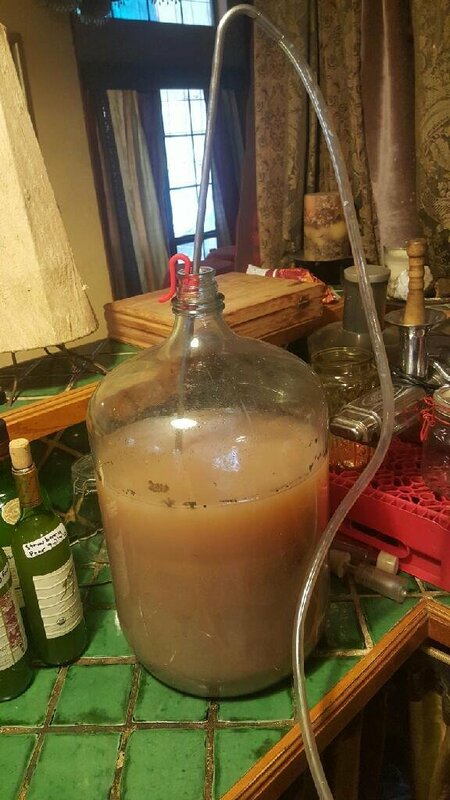 Home made wine is better in every way healthier, cheaper way more sustainable and fun ! You got a 20.22% upvote from @upme thanks to @quinneaker! Send at least 3 SBD or 3 STEEM to get upvote for next round. Delegate STEEM POWER and start earning 100% daily payouts ( no commission ). You got a 50.00% upvote from @joeparys! Thank you for your support of our services. To continue your support, please follow and delegate Steem power to @joeparys for daily steem and steem dollar payouts! You got a 50.00% upvote from @whalepromobot courtesy of @quinneaker! You got a 16.99% upvote from @emperorofnaps courtesy of @quinneaker! This post has received a 23.26% upvote from @msp-bidbot thanks to: @quinneaker. Delegate SP to this public bot and get paid daily: 50SP, 100SP, 250SP, 500SP, 1000SP, 5000SP Don't delegate so much that you have less than 50SP left on your account.